Jesper "JW" Wecksell and Freddy "KRIMZ" Johansson officially extended their contracts with Fnatic and its Counter-Strike: Global Offensive team for another three years. Fnatic revealed JW and KRIMZ signed on for three more years with the team. The CS:GO players initially joined Fnatic in 2016 and 2017 respectively, but briefly spent time apart from the organization and its team. "After pretty much five years straight (except one hiccup) in the organization, I simply feel like I’m home. I know I won’t find a better home and I know I won't make the same mark and create the same legacy elsewhere. I've always been a Fnatic fan," JW said. 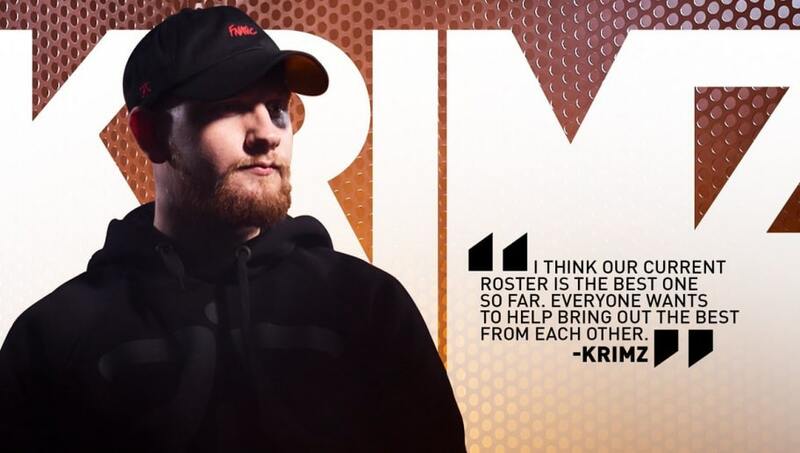 Krimz also shared his thoughts on the re-signing in Fnatic's official statement. "I think our current roster is the best one we’ve had so far. We haven't shown the same performances, of course, but I'm sure it will come eventually," the post read. "Outside the game, I’ve never experienced something close to it, everyone is like a family, everyone is helping each other out whenever needed, inside and out of the game. Everyone wants to help bring out the best from each other." The re-signing comes in time for IEM Katowice, which will begin Feb. 13. Fnatic is one of the six Returning Challengers, and one of the 24 teams in total competing at the Major.